Take on a big enough mission. What a great re-invention that we should really apply in our day to day life. I sincerely advise and suggest to all of you who don’t do this or have done this in the past but don’t do it anymore, to restart in doing the same. Hyperscale technology lets a DBA sleep, +30 minutes a day! Ease of access and easy life is now possible with On-premises and hybrid cloud technology with SQL Server 2016. SQL Server 2016’s Hyperscale technology gives us a huge relief in Backups, Disaster Recovery solutions, access resources no matter whether they are in on-premises, private or public cloud. New tools within SQL Server 2016 and Microsoft Azure has made every single DBA/Developers life much easier to scale to the cloud. 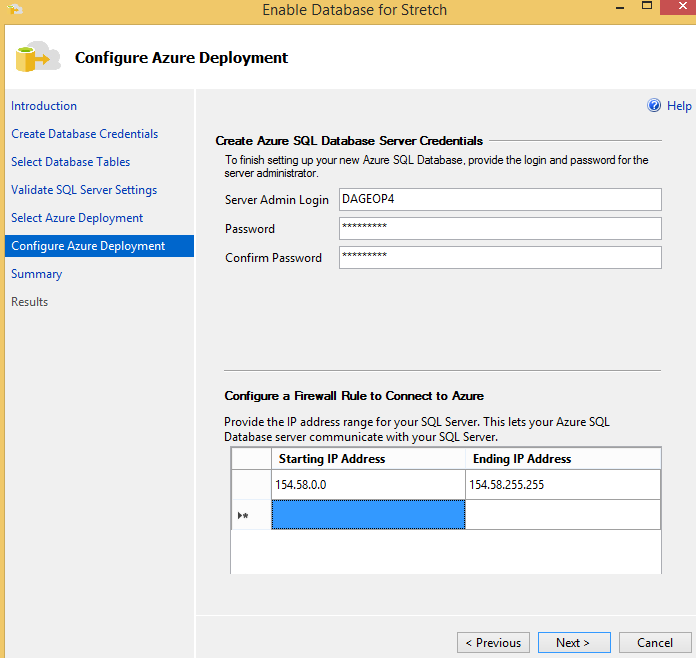 Save your time and cost on storages and get extra time to relax with this brand new stretch database concept within SQL Server 2016. You can stretch your legs and relax and get a quick session on delivering your analytics against hot, warm & cold data. 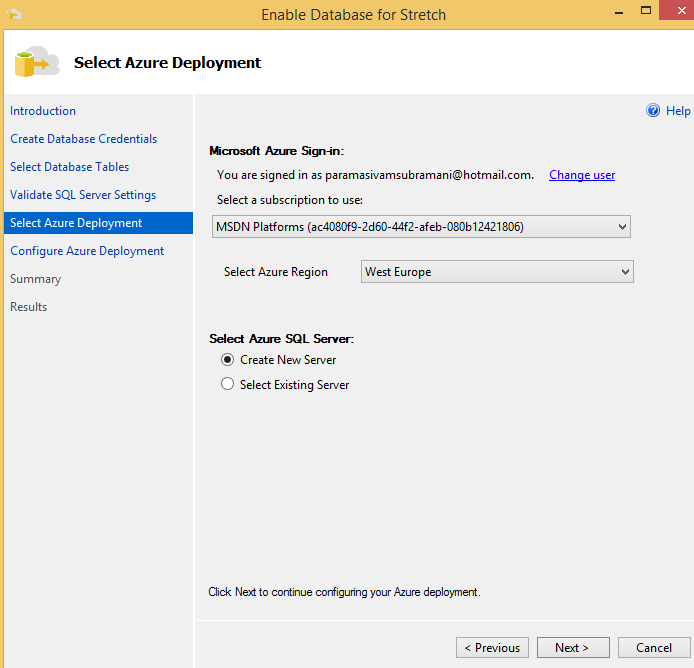 Stretch Database is the new concept, which allows you to stretch from on-prem to cloud easily. 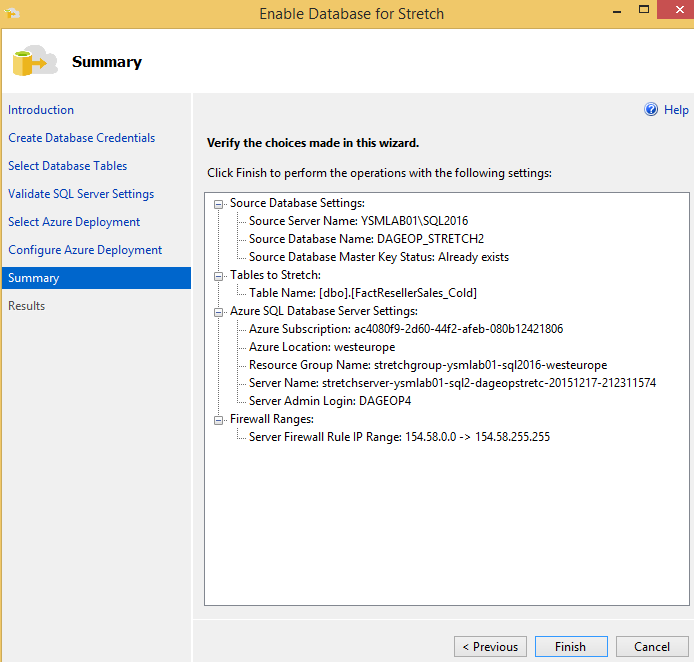 You can easily enable / disable data stretch, accessing data using stretch database, setup remote data archiving, basic concepts on enabling database/table and backup & restore for the stretch enabled databases. Stretch DB also covers the concepts of Shallow & Deep backups. However, Deep backups are not supported with SQL Server 2016 CTP2. You can download the latest CTP 3.2 from this link. How to verify and then create a specific SQL users? 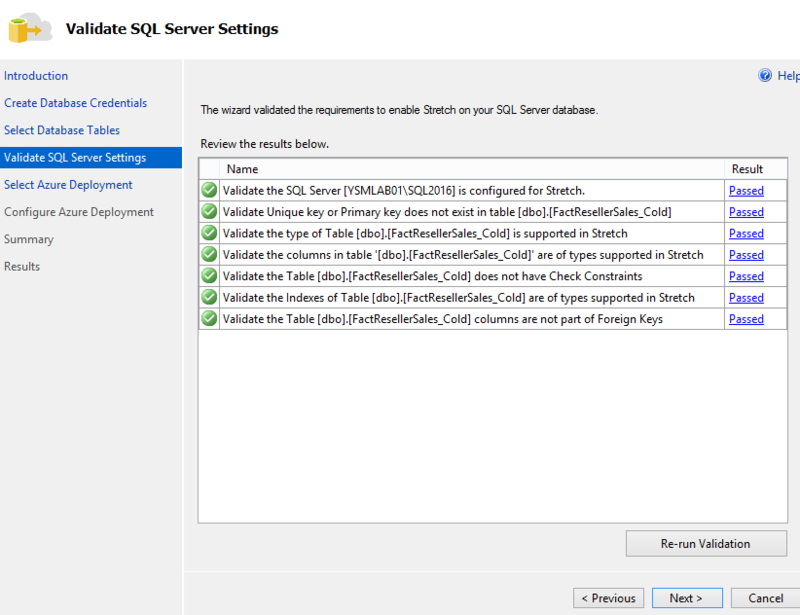 It is always a best practise to validate whether the logins & user exists before creating a new one in SQL Server. You can verify this by using the system tables (syslogins & sysusers). I have given below T-SQL queries to validate first and then create. To access any specific database, a login creation is a mandatory. If the login already exists, you can still verify it with syslogins and then create the user for any new databases. –Check the users for any specific databases. After reviewing the available logins & users for the SQL Server and specific databases, and according to your company policies in naming convention, you then can create users accordingly. But before that need to drop the user if exists with the below queries. In here, I am creating login & user after dropping it with if exists statement. Microsoft keeps improving the SQL Server 2016 in every CTP version and the latest CTP 3.1 has been released and can be downloaded in this link. 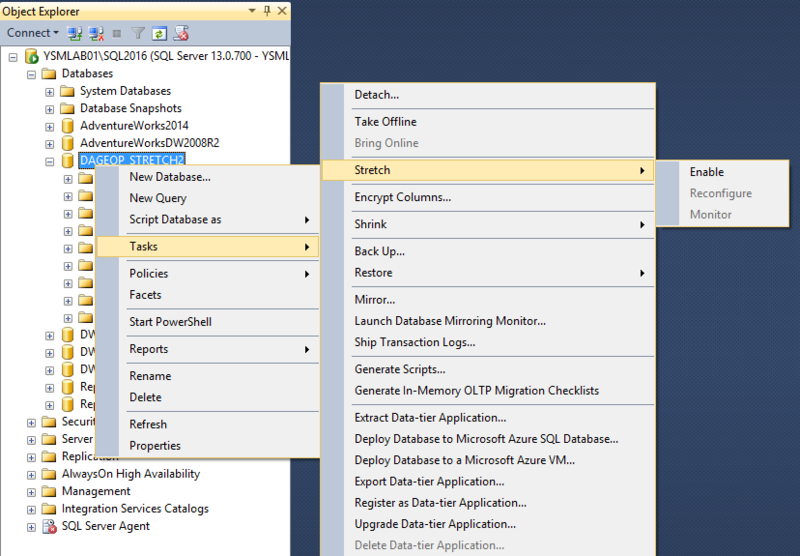 SQL Server 2016 Technical documentation is available here. As usual, the downloads are available both in ISO & CAB formats. 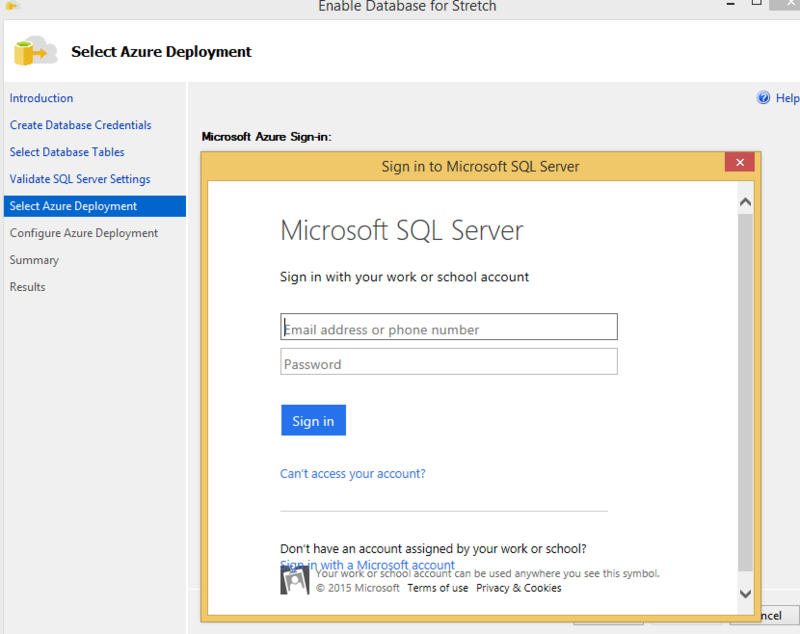 You can now easily enable & disable stretch database both in GUI via SSMS and also using T-SQL. 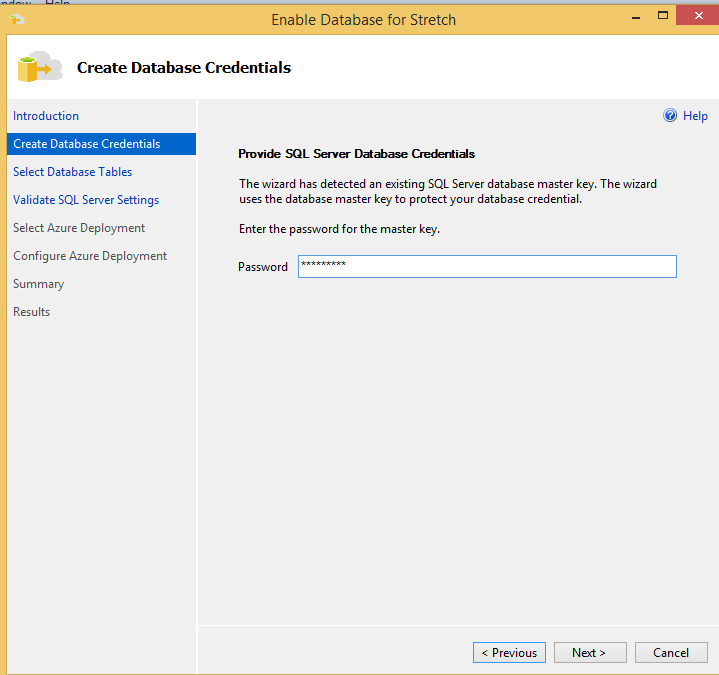 Below screens provides you on each step involved in enabling the Stretch for the database. 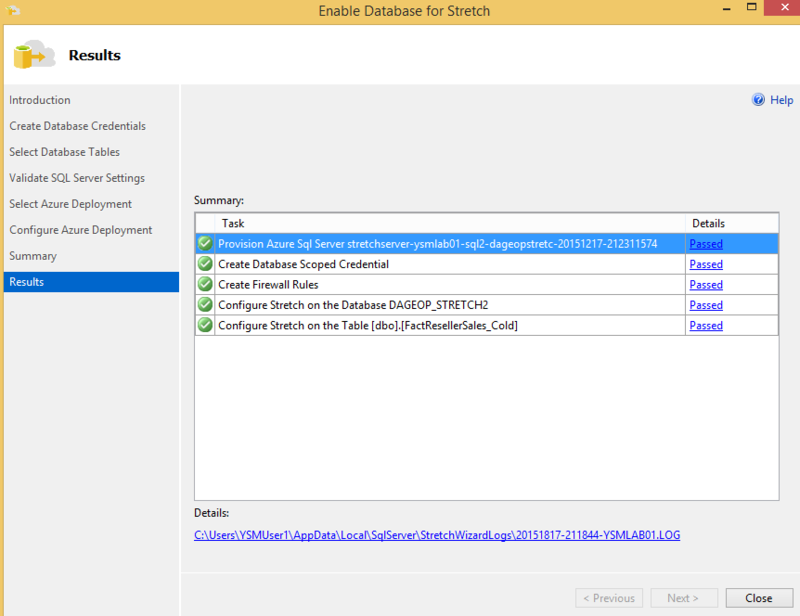 You can easily disable stretched database using below T-SQL. Microsoft have now released its latest SQL Server 2016 Upgrade Advisor Preview 1.3 and you can access it here. This tool is not part of SQL Server 2016 CTP3.0 and have to be done additionally. This tool advises to upgrade below scenarios.